The 2019 BMW i8 continues with BMW’s vision to revolutionize the roadster/coupe market. The roadster is packed with innovative technology that makes this one of the most powerful plug-in hybrid vehicles. The electric motor and the TwinPower Turbo engine combine to provide you with one of the most powerful drive you will experience. The appeal of the car doesn’t just stop with what is under its hood. You will be sure to turn heads with this beauty as it features a design with sharp-edges that adds to the appeal of the supercar. You can be sure that with this car you will feel a sense of exclusivity, as there is none other like it. You can find out more about the 2019 BMW i8 at Sterling BMW in Orange County, CA. We’re known to provide exceptional services which is why we are the best-rated BMW dealer in OC on major review sites. Sterling BMW serves surrounding areas including Costa Mesa, Irvine, and Newport Beach, CA. The 2019 BMW i8 features an innovative design that is sure to leave you at awe. 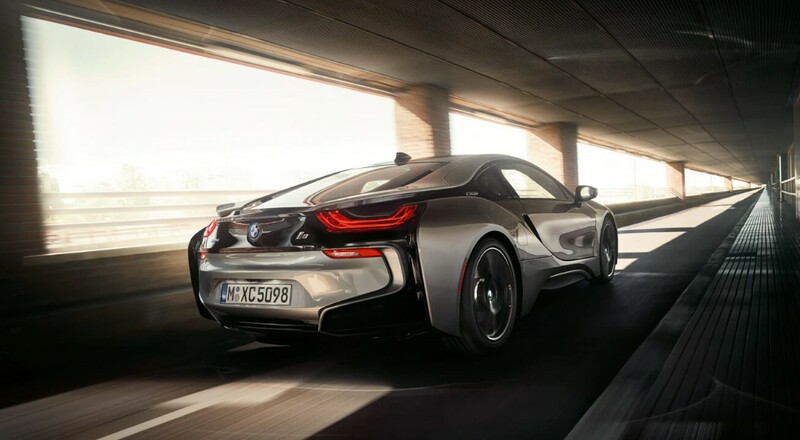 From the precise lines to the scissor doors the i8 has an exterior that will move you. The car is designed with aerodynamic excellence employing carbon fiber reinforced plastic that makes the exterior lighter and stronger. The design paired with the 20-inch BMW iJet Black wheels the roadster has an appeal like no other. 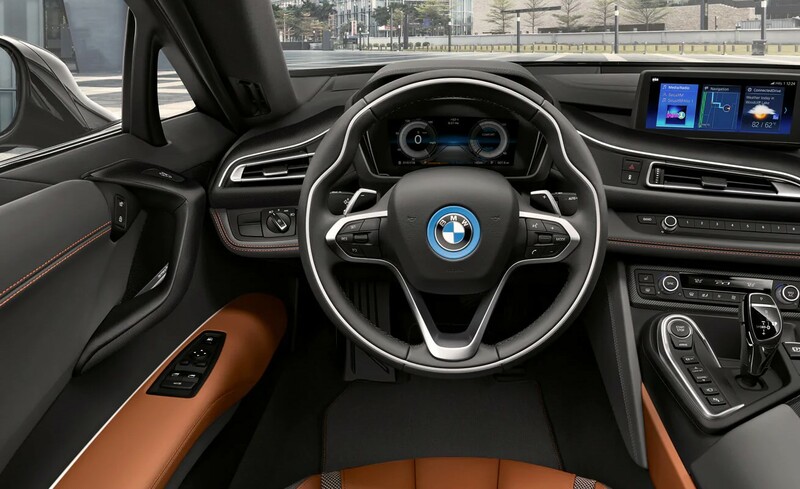 The interior design of the i8 combines comfort and sportiness into one. The car features carbon fiber interior trim that makes the interior durable and elegant. You have the option of selecting seats with one of the most comfortable upholstery in the market in the E-copper leather to pair with heated front seats. All of this plus the head-up display which projects the driving data on the windshield make the i8 a pleasure to drive. The 2019 BMW i8 features an electric motor engine paired with a 1.5-liter BMW TwinPower Turbo engine that produces 369 horsepower. So the car isn’t just designed to look fast, it is fast with a 420 lb.-ft. of torque, the acceleration of the car is top class. To give drivers more control of the drive, they have the option to choose between four modes that include Sport and eDRIVE. The Sport mode combines the power from both engines to give maximum output while eDRIVE uses just the electric motor. The roadster is lightweight with a two-piece design, the chassis, and the cabin. The front and rear suspension of the car feature specifically designed aluminum components that further add to the lightness of the car while also provide it rigidness.